Our designer has drawn a range of yachts with contemporary underwater shapes and specified modern gear to make sail handling as simple as possible at sea. 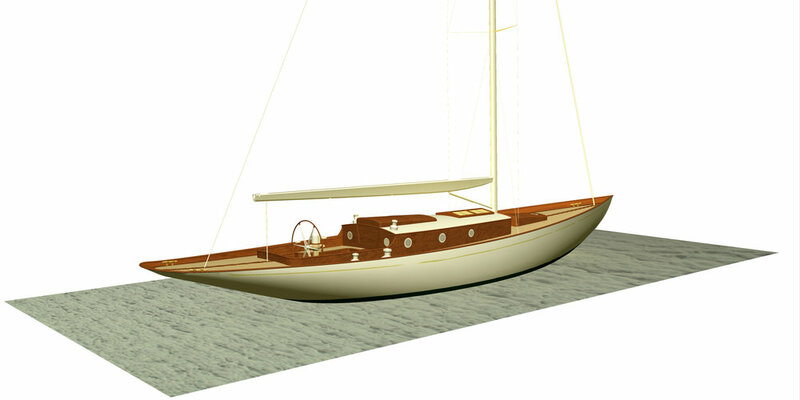 The style above the waterline draws inspiration from William Fife, renowned for his beautiful designs over 6 decades. His attention to detail and an eye for a line or a curve combined with a modern hull shape have resulted in a range of fast, easily handled, elegant yachts. Our flexible approach to layouts allow an owner to choose an interior to suit his exact needs. 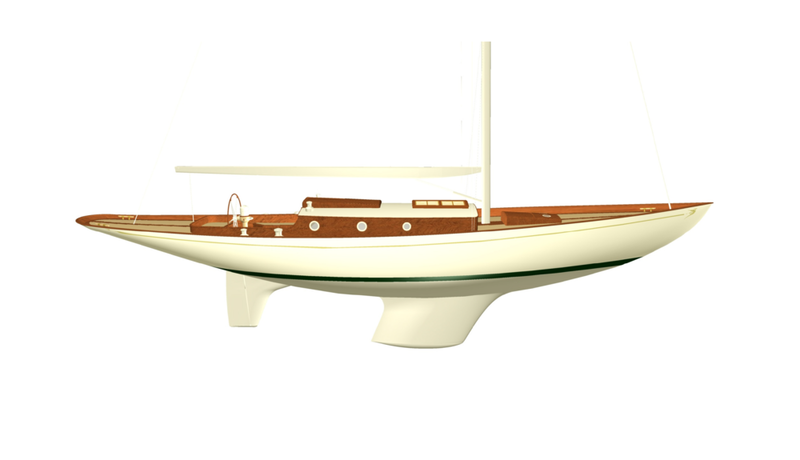 The Fairlie 55 recaptures the style and emotion of a golden age in yachting. 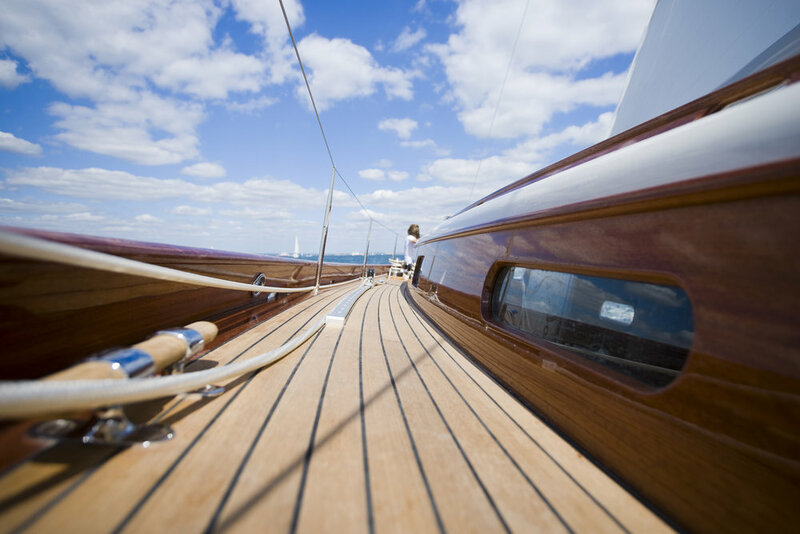 Decades of unmistakable Fairlie build quality and exquisite finishing are combined to create a yacht that is undeniably influenced by the works and splendour of the renowned yacht designer William Fife. The sheer beauty of this yacht will be the envy of any admiring on looker. 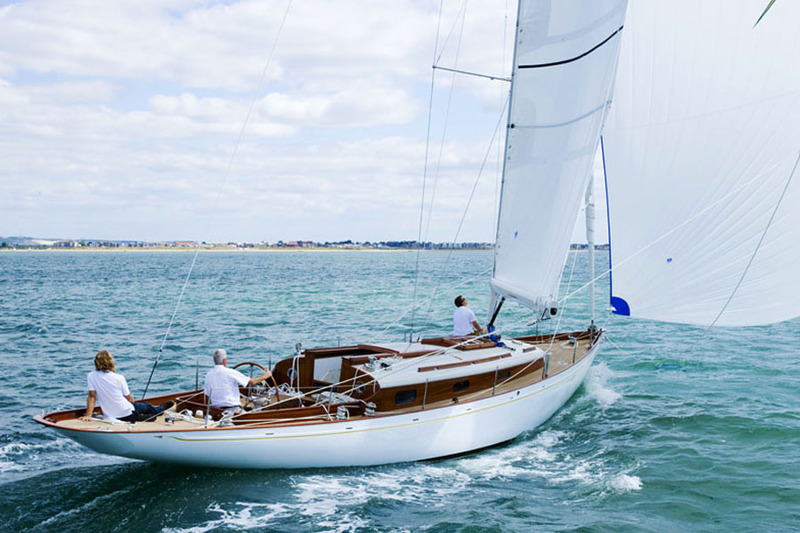 Designed for both cruising and racing, the magnificent Fairlie 55 has a modern underwater profile and carbon rig, creating a fast yacht which is as easy to handle as any on the market today. The deck is built from a layer of marine plywood grooved on the underside, and laid with 12mm thick, swept teak decking with a varnished king plank, covering boards and toe rail. The ultra-modern fin and bulb keel has an SG cast iron fin and a lead bulb and is assembled and bolted through the hull structure. 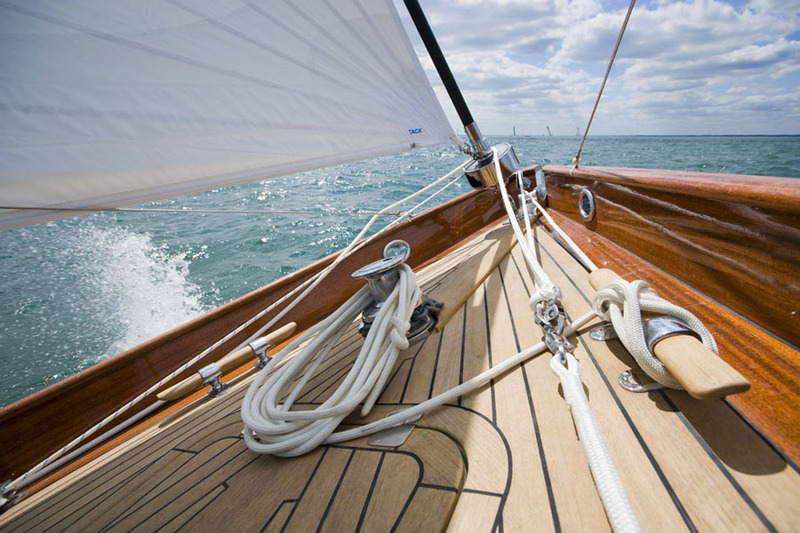 The spade rudder is a laminated plywood blade with a stainless steel shaft. 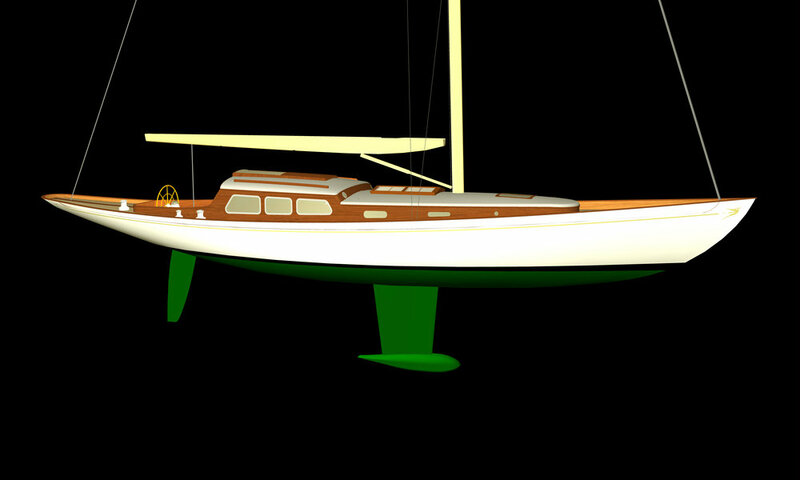 Inspired by the small cruising and racing yachts of William Fife III, this yacht has been developed with a modern underwater profile to give ease of handling and better performance to the short handed sailor. The yacht will be built using modern wood/epoxy techniques to ensure all the comfort and warmth of a traditional wooden hull but with a fraction of the maintenance and she will be fitted out with the same sumptuous joinery that Fairlie has perfected over the past 20 years. Her displacement of 7.5t is slightly heavier than many modern, lightweight Spirit of Tradition yachts however still far less than the original long keeled yachts from which she is conceived. This compromise allows for many of the benefits of both styles; light enough and with reduced wetted surface area to achieve easy, fast sailing even in light airs and yet with just enough internal volume to create standing headroom below. The fin and skeg arrangement has been designed to give the directional stability of a long keeled yacht but with easy manoeuvrability in marinas and modern stability characteristics to suit the higher aspect ratio of her rig. The yacht is designed primarily for relaxed weekend sailing for 2 people with space for occasional others. Both the cockpit and saloon are easily large enough to seat 4 people for dinner. Built for shorthanded long distance cruising. 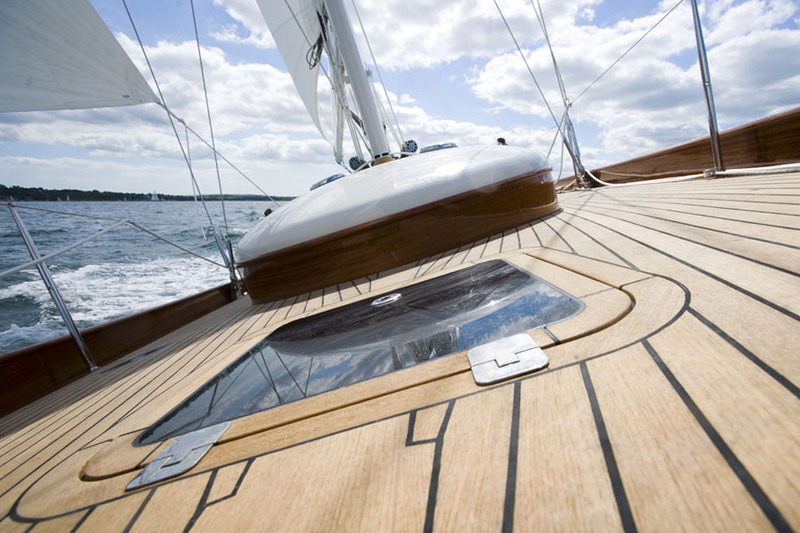 A modern classic yacht constructed from timber. generous interior space. Carbon mast and boom. All bronze deck gear. 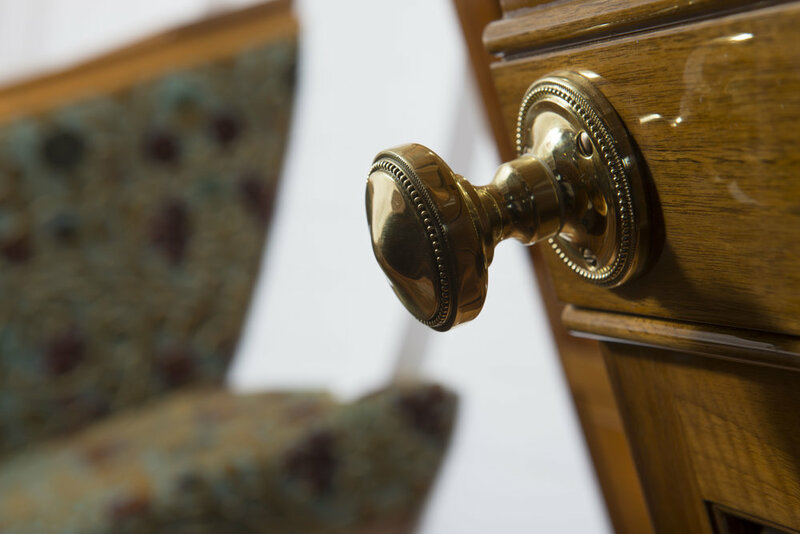 Built to the highest standards of British craftsmanship. 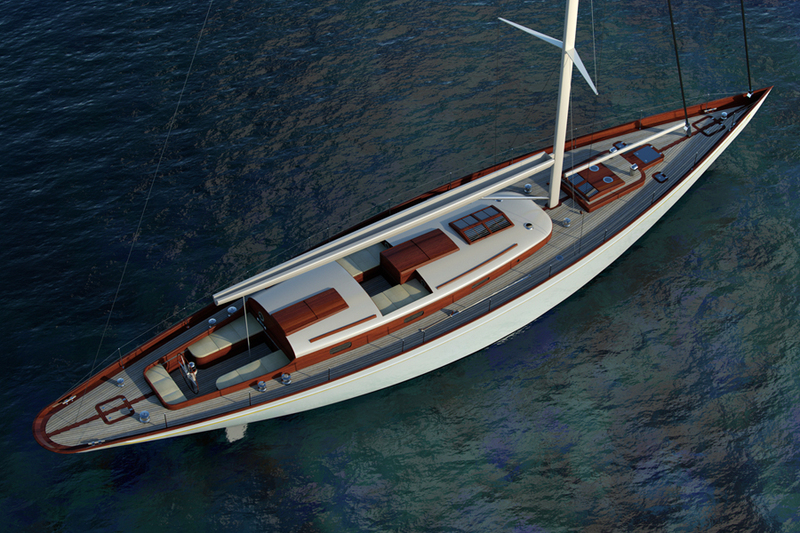 We were approached by a European client to design and build this fast long distance shorthanded cruising yacht. The hull has a longer keel than our fin keel yachts and a skeg hung rudder, this configuration gives excellent directional stability in a seaway, yet remains easy to handle in a busy anchorage. The interior, designed by the owner boasts a large sea berth aft and a generous double cabin up forward. The engine and generator are situated in the middle of the yacht with the galley built around the machinery space. There is a very generous fridge space, with two separate front opening units and top opening freezer compartment. A Webasto heater has been fitted to keep the interior snug and warm in cooler climes. The deck is built from a layer of marine plywood grooved on the underside, and laid with 12mm thick, swept teak decking with a scrubbed king plank, paint bulwarks, varnished cap rail. 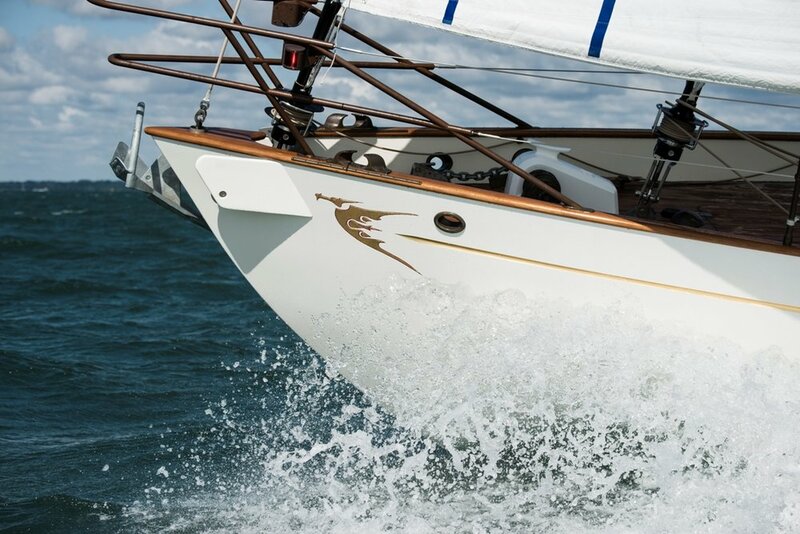 The hull has a longer keel than our fin keel yachts and a skeg hung rudder, this configuration gives excellent directional stability in a seaway, yet remains easy handles in a busy anchorage. 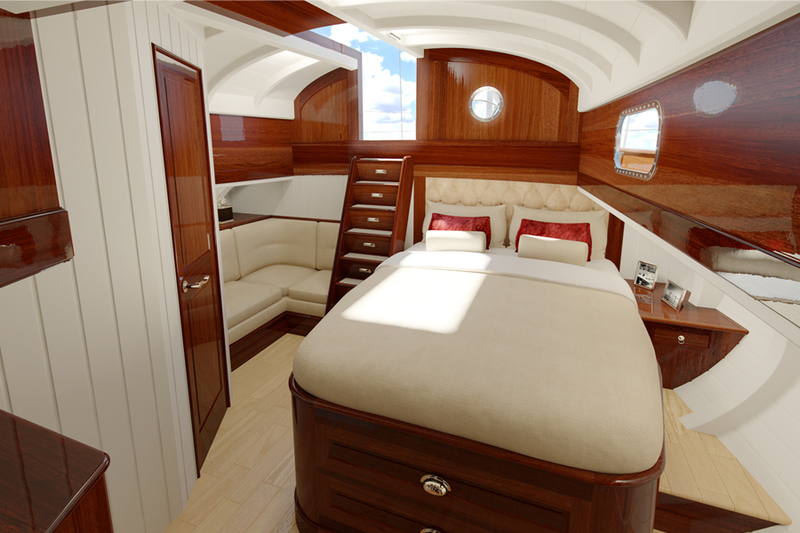 This yacht is designed primarily for long distance cruising for 6 people with space for another two occasional guests. Both the cockpit and saloon are easily large enough to seat 6 people for dinner. This hull form allows a generous volume to fit large tanks, and keep the machinery under the cabin sole. Like all our yachts, different interior layouts have been drawn to allow an owner to select the best for their individual requirements. 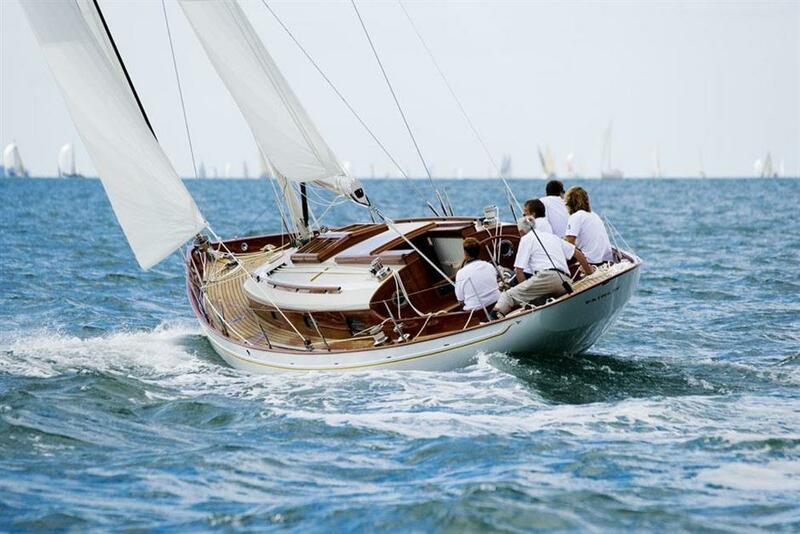 Her displacement of 25t is slightly heavier than many modern, lightweight Spirit of Tradition yachts of this size, however still far less than the original long keeled yachts from which she is conceived. This compromise allows for many of the benefits of both styles; light enough and with reduced wetted surface area to achieve easy, fast sailing even in light airs, and yet with just enough internal volume to create standing headroom below. 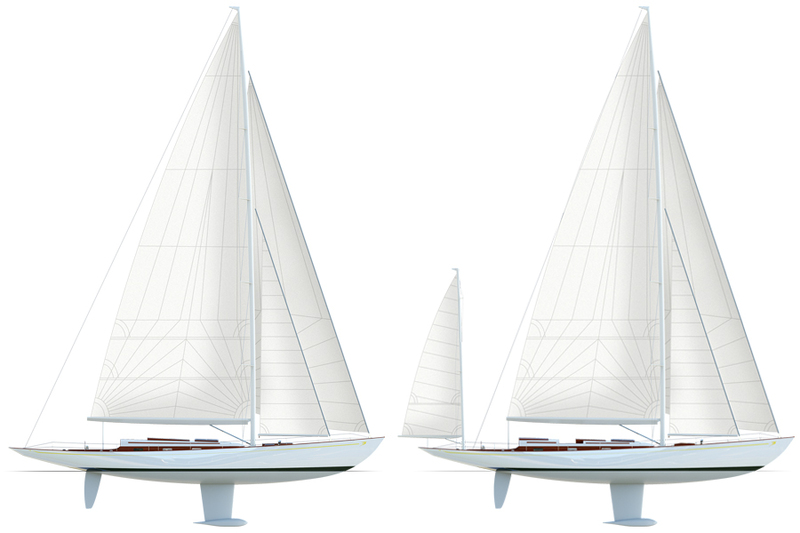 The short keel and skeg arrangement has been designed to give the directional stability of a long keeled yacht but with easy manoeuvrability in marinas and modern stability characteristics to suit the higher aspect ratio of her rig. The sail plan is drawn as a yawl, so for trade wind sailing the setting of a mizzen staysail can add up to an extra 10% of boat speed. 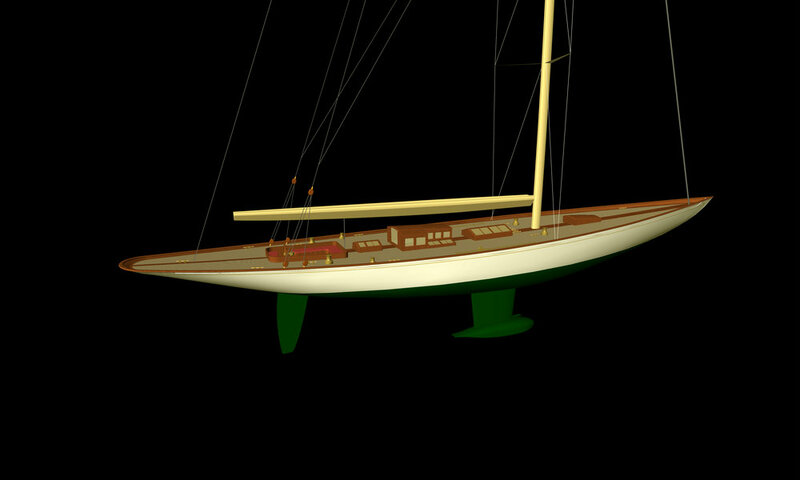 A short bowsprit has been drawn which balances both the yacht aesthetically, and the sail plan. This also allows an asymmetric spinnaker to be set clear of the hull. The deck is built from a layer of marine plywood grooved on the underside, and laid with 10mm thick, swept teak decking with a scrubbed king plank, paint bulwarks, varnished cap rail. 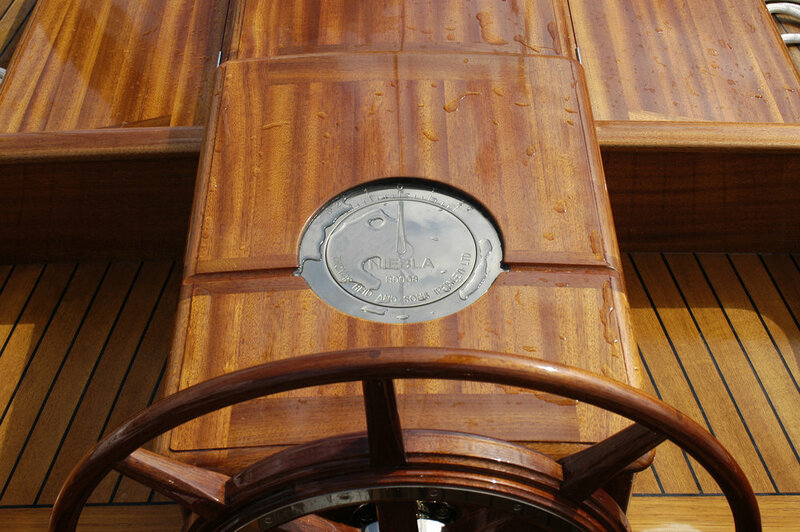 The deckhouse sides and cockpit coaming are constructed from straight grained Utile, which is cut from the same tree as all the other varnished woodwork onboard. This way a perfect colour and grain is matched throughout the yacht. The toughened glass windows are rebated into the sides to give a clean exterior finish. The coachroof is made up of glass sheathed plywood grooved on the underside glued to laminated utile beams to give a classic look to the underside. 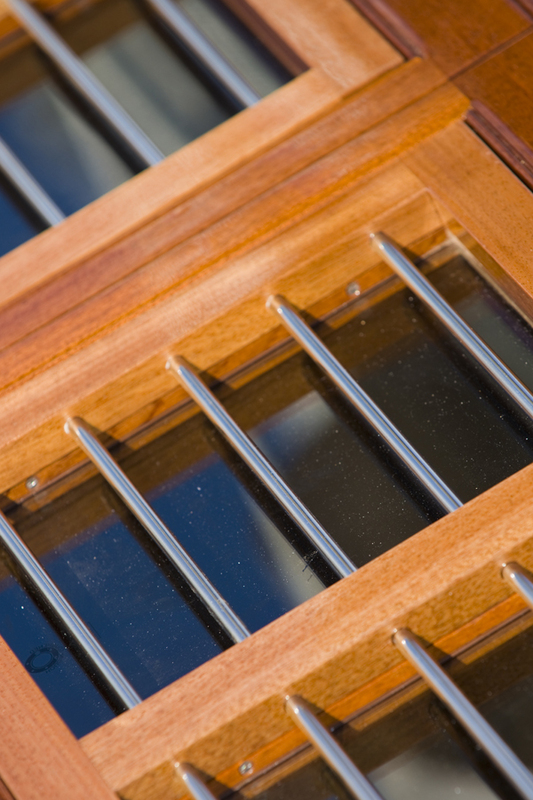 The large skylight and companionway hatch are traditionally hand built from Utile to the highest joinery standard. The interior fitout will be fitted out with the same sumptuous joinery that Fairlie has perfected over the past 20 years. 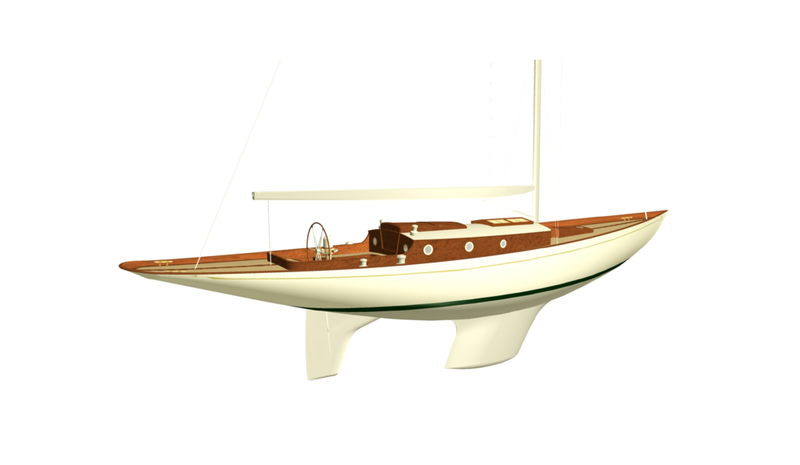 Designed with the same keel configuration as F55, fin and bulb keel with semi balanced rudder. Carbon rig. semi-custom yacht built using west epoxy system. Sleeps 6 person in three cabins. Ideal for racing and cruising. 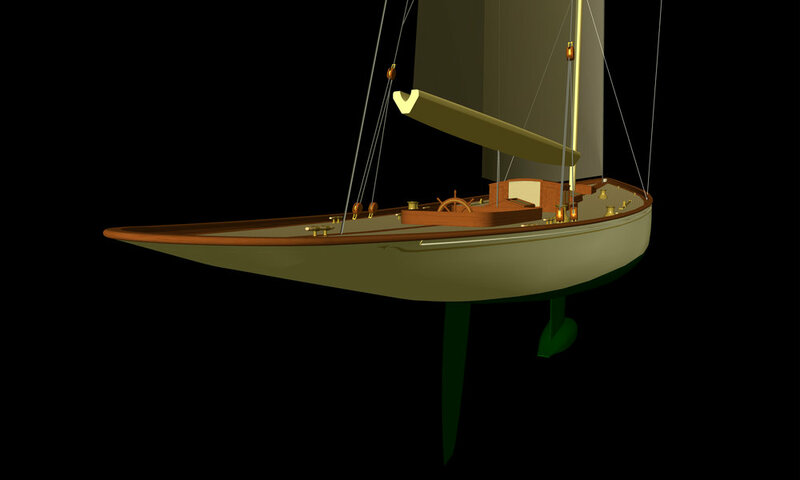 The yacht is offered with two sail plans; for cruising a cutter headed yawl for ease of sail handling and elegant lines, or a more typical sloop rig with a hugely powerful fore triangle and mainsail. 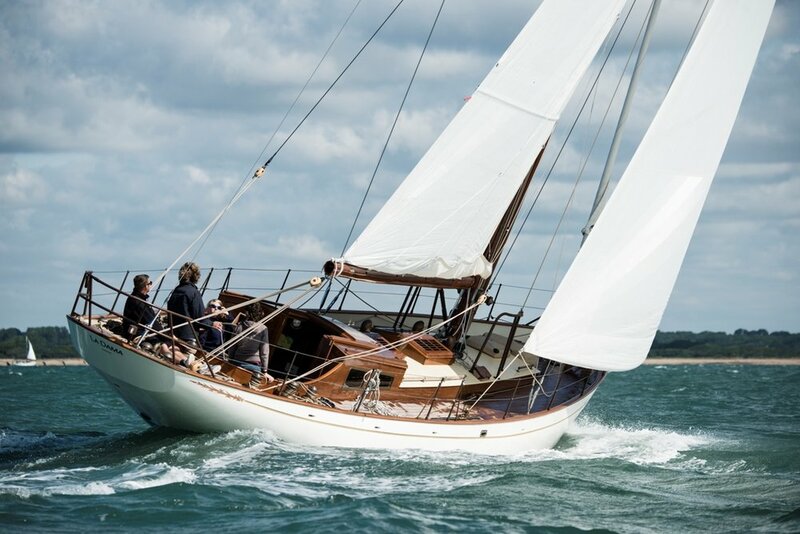 With either sail plan the underwater hull form, keel and rudder will ensure she is extremely fast and her handling is as concise as the already proven Fairlie. The F 66 can be fully specified for world cruising and fitted with all the engineering systems and comforts expected in today’s large yachts. 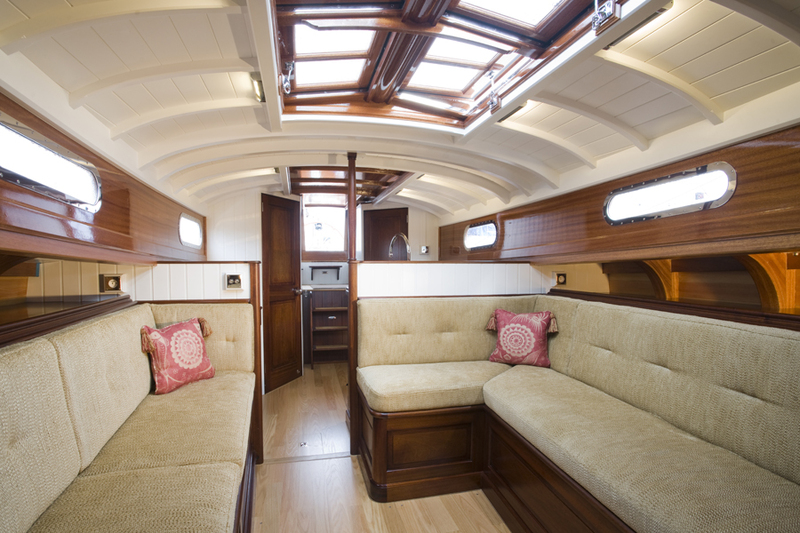 The Fairlie 66 offers two interior accommodation layouts- Mid saloon and Aft saloon. 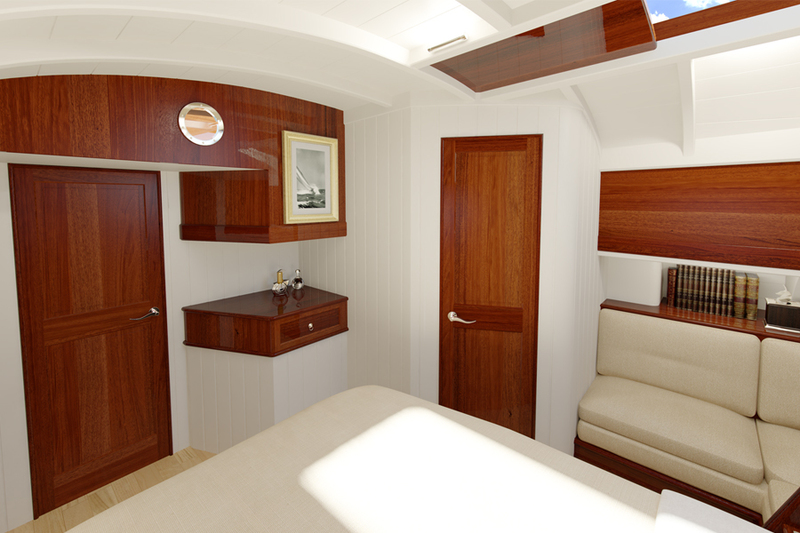 in each layout a large master cabin with an island bed, with en-suite bathroom is located forward of the saloon. In the mid saloon version there are two mirrored double cabins built around the cockpit, with one other shared bathroom. The deck is built from a layer of marine plywood grooved on the underside, and laid with 10mm thick, swept teak decking (other more ecological timbers are available) with a scrubbed king plank, paint bulwarks, varnished cap rail. 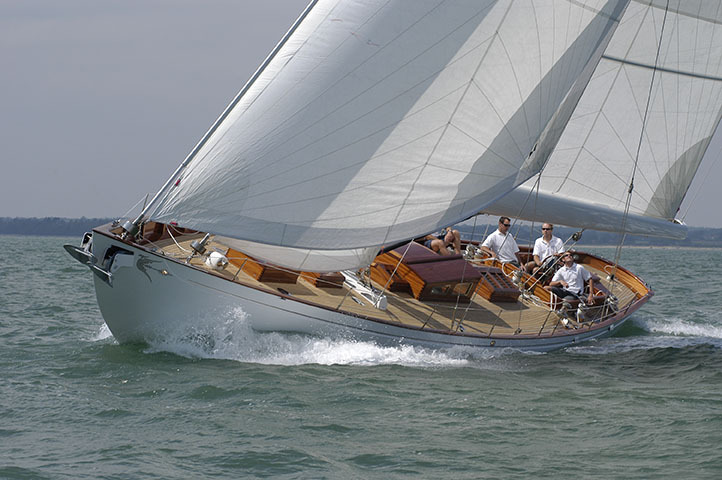 She is an outstanding beautiful Fife inspired modern classic yacht. Semi custom yacht. crew of two sleeps in separate area, could be used as a charter yacht taking upto 6 guests. A pedigree yacht that will turn heads. 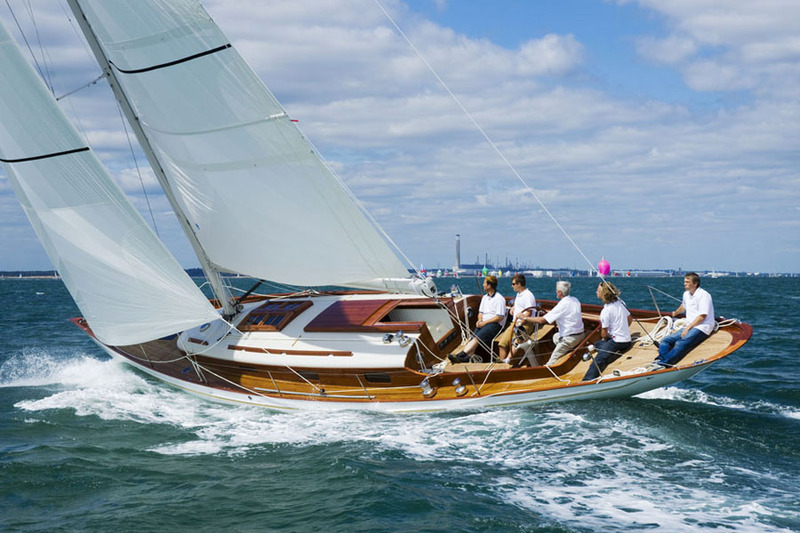 The Fairlie 77 is a beautiful William Fife inspired cruising yacht which is at one cruising extended oceans as she is competing in the many fine regattas of today. 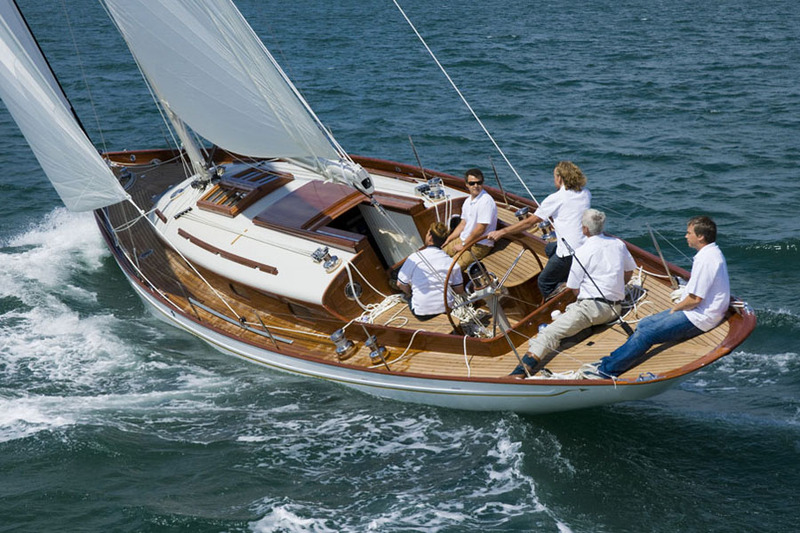 As with her 55ft sister ship; Fairlie’s traditional styling, use of materials and high quality finish is exceptional. Qualities which Fairlie Yachts have become famous for worldwide. 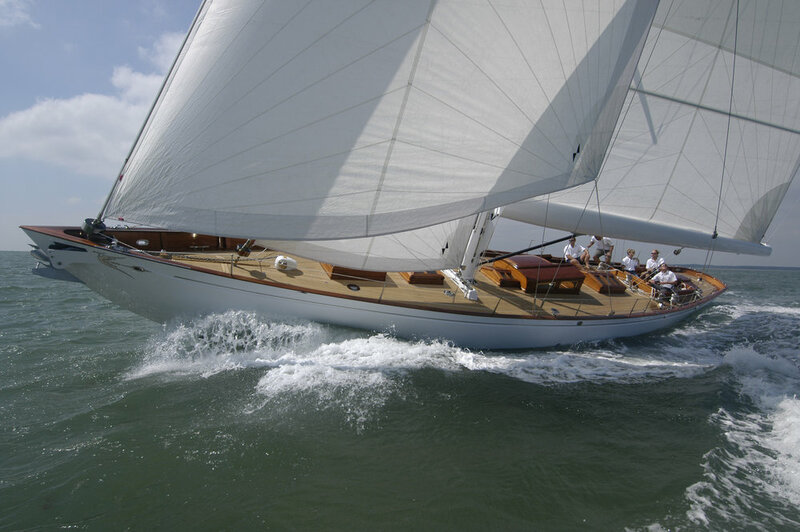 The yacht is offered with two sail plans; for cruising a cutter headed yawl for ease of sail handling and elegant lines, or a more typical sloop rig with a hugely powerful foretriangle and mainsail. 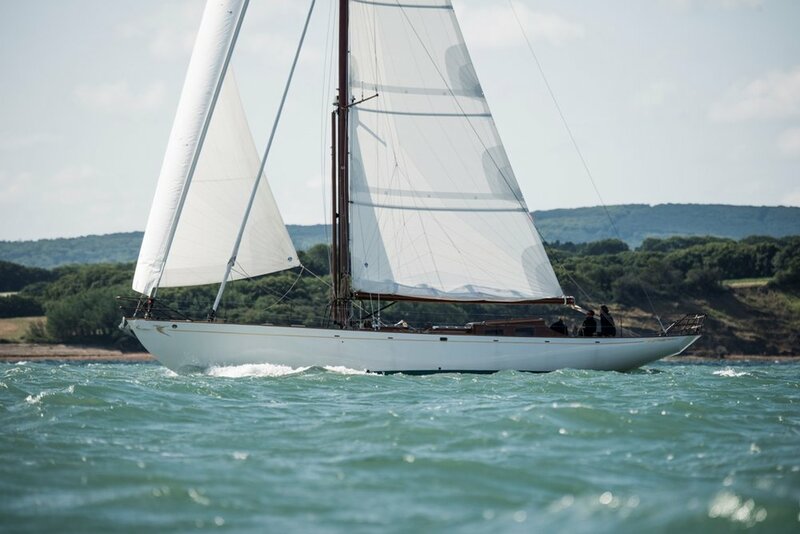 With either sailplan the underwater hull form, keel and rudder will ensure she is extremely fast and her handling is as concise as the already proven Fairlie. The F77 can be fully specified for world cruising and fitted with all the engineering systems and comforts expected in today’s large yachts.